This is a fun project our friends at Country Equipment in Oklahoma City sent. They mounted a real Polaris 50 on a kiddie ride body and mechanism. They said the ride is a huge hit for kids and adults. They advertise the ride as a “Free Polaris Test Drive”. 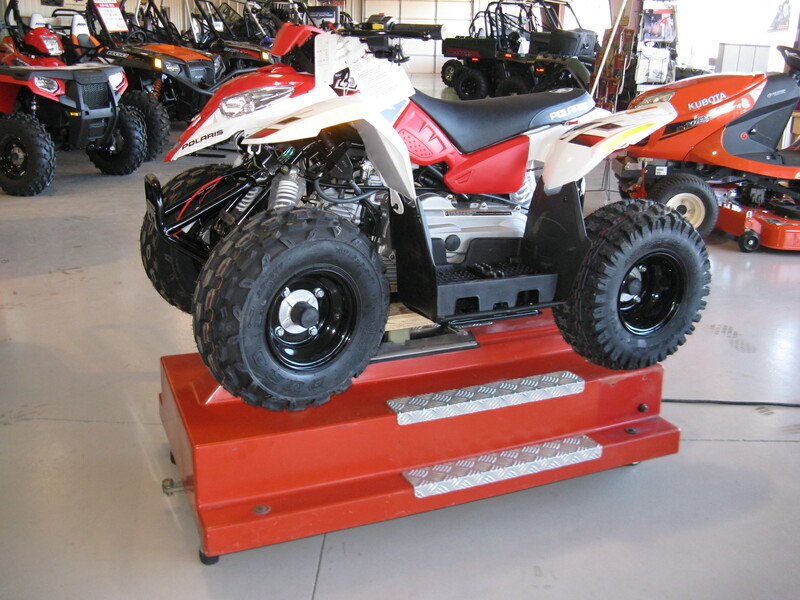 Likewise, we can provide a ride base that would have mechanics, sound, timer, etc. so you could make your own kiddie ride, too!